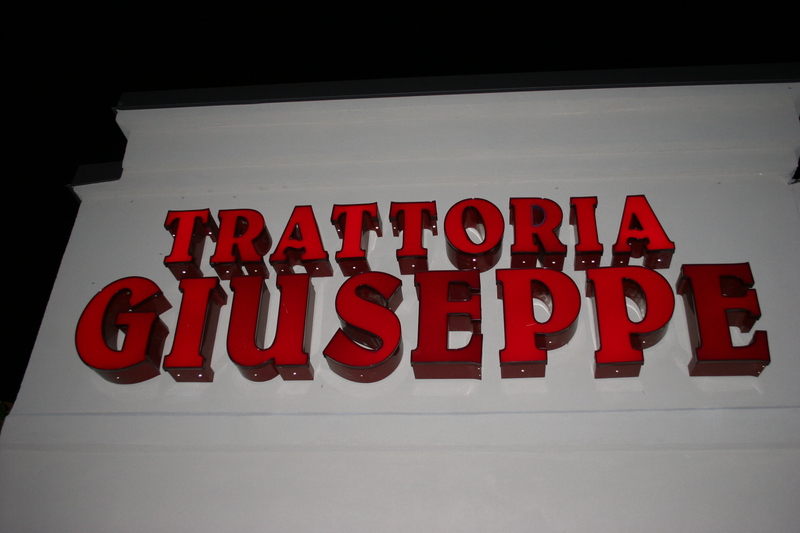 The sign looks big but it wasn’t easy finding Trattoria Giuseppe which sits back behind a shopping center off of West Chester Pike (Rt. 3) in Edgemont, PA. Judging by the crowd on this chilly Tuesday evening, I may have been one of the few who was challenged by the task of locating this very popular Delaware County eatery. I was having dinner with some childhood friends (Frank, Steve & Tom) and they are familiar with the area and had told me how popular this Italian Restaurant was and that we were lucky, even on a Tuesday, to not have to wait for a table despite having reservations. All of this made me curious as to why the place was such a local favorite. 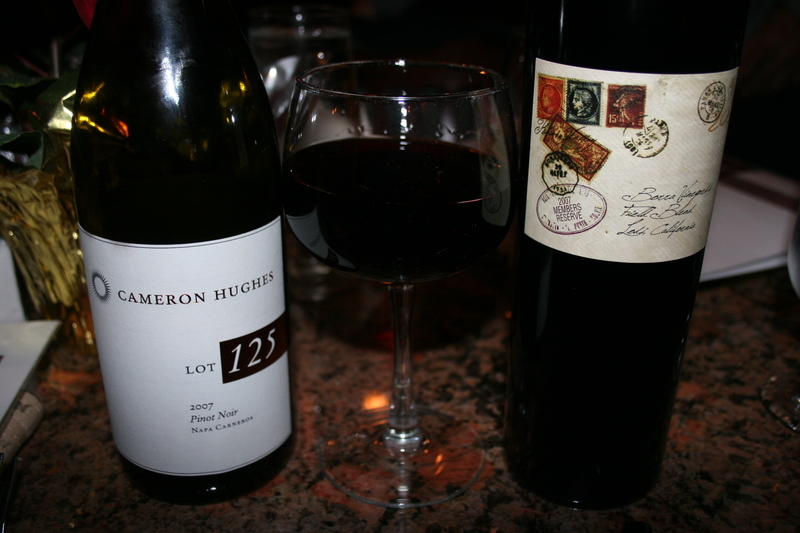 I had brought with me an unfinished bottle of the 2005 Cameron Hughes, Lot 125, Pinot Noir, Napa/Carneros. This is a really great Pinot for the money with a great nose and lots of strawberry and raspberry flavors and just delivers terrific value for the money. My other bottle was something I picked up at the PA State Store some time back. The 2007 Borra Vineyards, Field Blend, Lodi, California is a very different wine, made from a blend of grapes you seldom see. 48% Barbera, 23% Carignane, 16% Alicante Bouschet, 13% Petite Sirah. It’s a dark ruby red in the glass with a full mouthfeel. This is one you are going to either love or hate. I take that back because, come to think of it, I can’t quite decide. 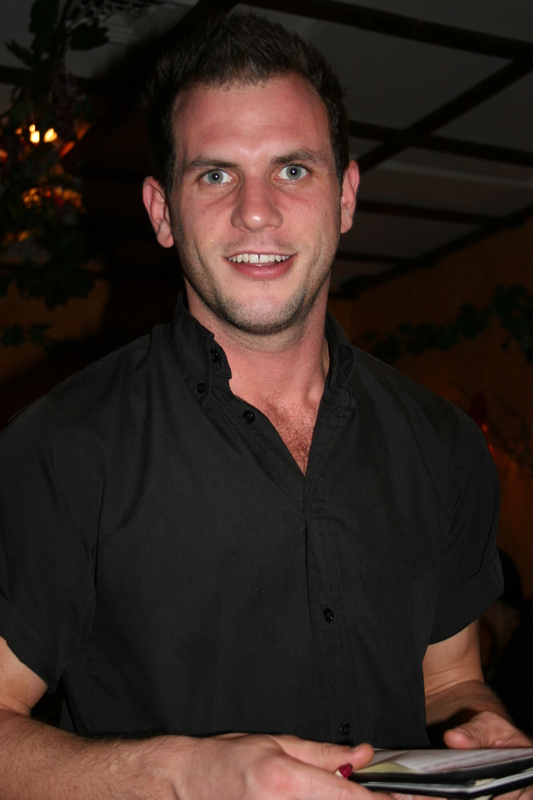 Our server, Jeremiah, was poised and polished and also impressed that Frank was able to name Three Dog Night as the group that made the 60’s song featuring his name. 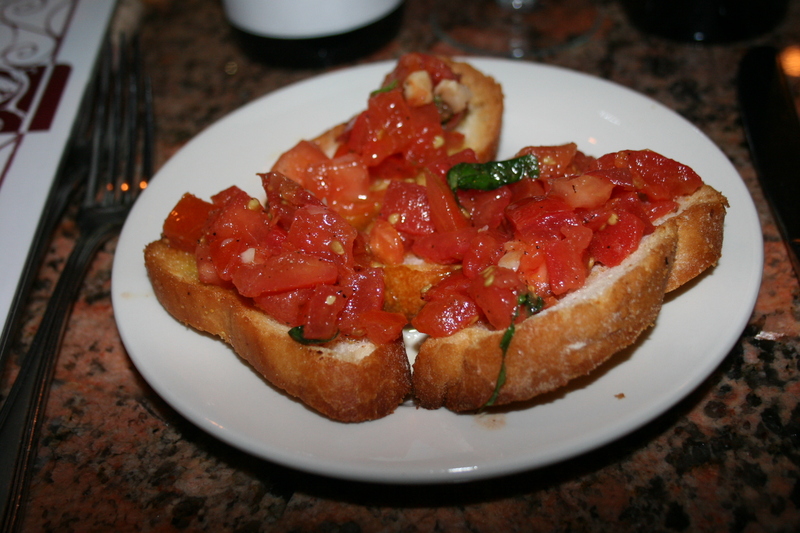 He opened our wine, outlined the specials and brought us some complimentary bruschetta. Nice fresh tomatoes atop a crisp piece of Italian bread made this a great way to start off our evening. We spent some time conversing and reviewing the massive menu before the four of us had zeroed in on our selections. 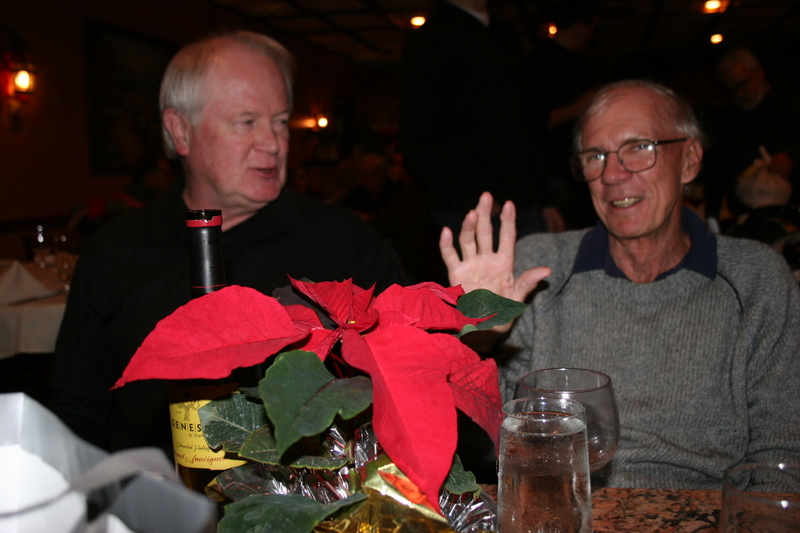 For appetizers, Frank and Steve split some more bruchetta; an order which was large enough to end famine in a third world country. I would have a picture of it but I couldn’t get the entire plate in the frame of the lens. 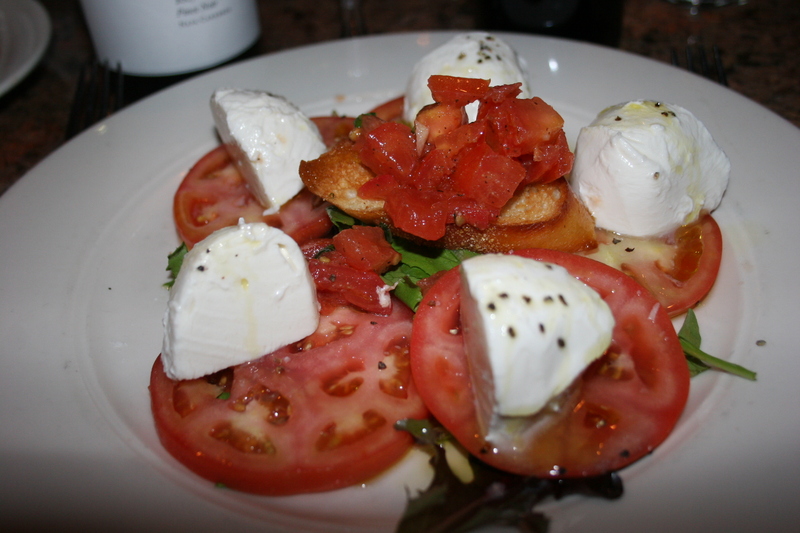 I ordered the Mozzarella Caprese, fresh mozzarella, sliced red tomatoes, extra virgin olive oil and basil. This was another huge offering of which I ate about 40% and took the rest home. I was beginning to see why families were filling the tables here as dinners appeared to be such that each meal was enough to serve the family for the rest of the week. 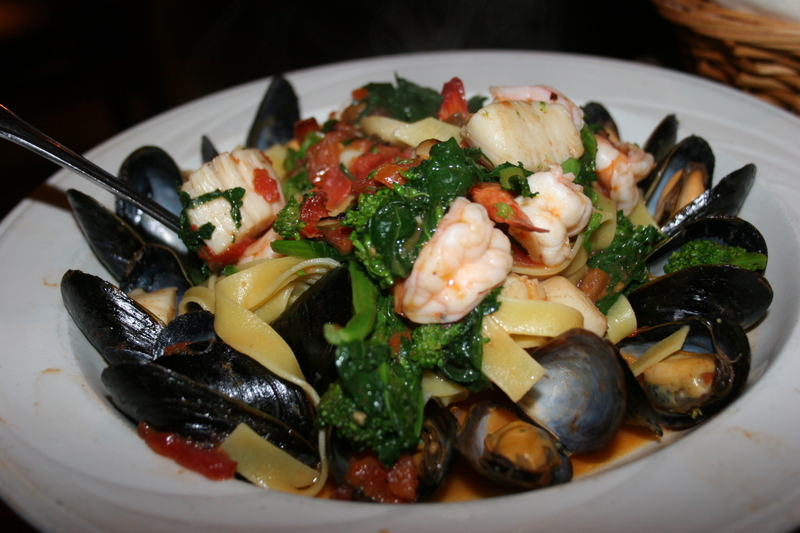 Entrees were more of the same as Tommy’s dish of Tagliatelle Giuseppe was chock full of seafood, featuring mussels, shrimp, scallops some chopped tomatoes and broccoli rabe. 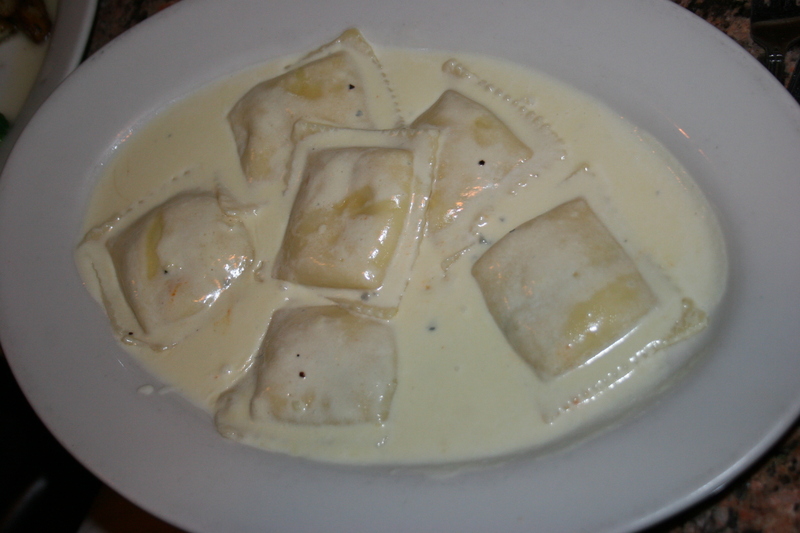 Steve’s order of Ravioli Quattro Formaggio, fresh made ravioli filled with blue cheese, goat cheese, mozzarella and parmesan in a rich cream sauce looked like an artery clogging delight. I knew he would have a tough time finishing this one and although he totally enjoyed it there was quite a bit to bring back home. 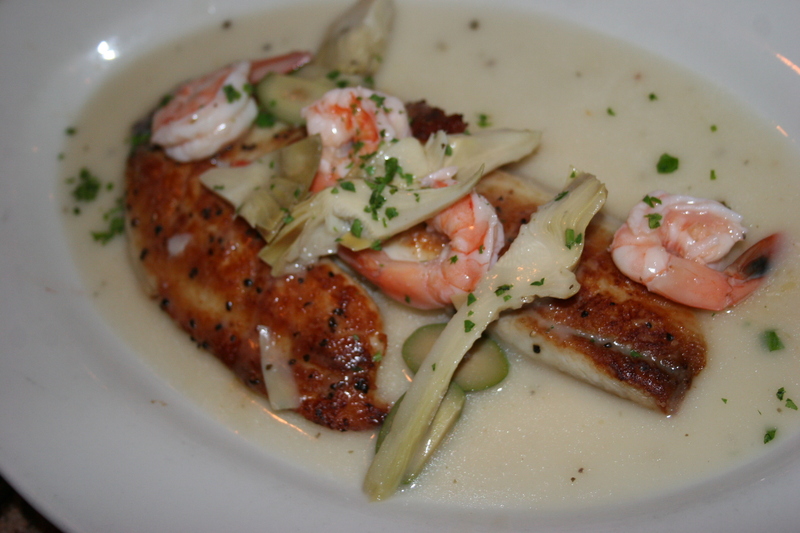 Frank’s Tilapia topped with shrimp and artichokes was, I believe, one of the “specials” and was the only dish that appeared to offer a chance of being totally consumed in one sitting. The fish was nicely baked and had a an appealing white wine sauce. 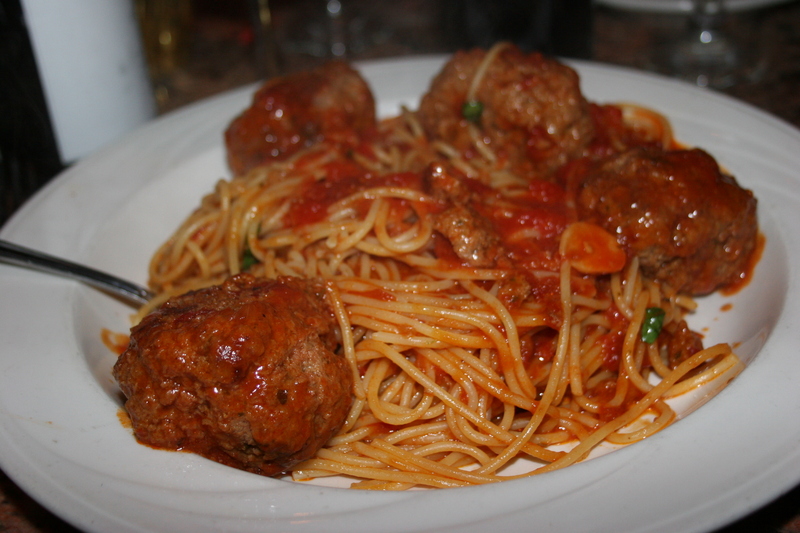 As for myself, I figured if I was in a true, Italian restaurant why not give the spaghetti and meatballs a try. When I order this dish I am always keeping my fingers crossed that I will have at least two nice sized meatballs to compliment the pasta. The bowl that arrived at my table, steaming hot, contained FOUR mammoth meatballs. I gave it a worthy attempt but still was unable to make much of a dent in the meal before I gave up and had it boxed. It provided not only another great dinner but TWO more dinners, which, to be honest, tasted better on each subsequent day. We passed on dessert as we were all stuffed and settled for more wine and laughs. It’s always great to get together with these guys and tonight was no exception. 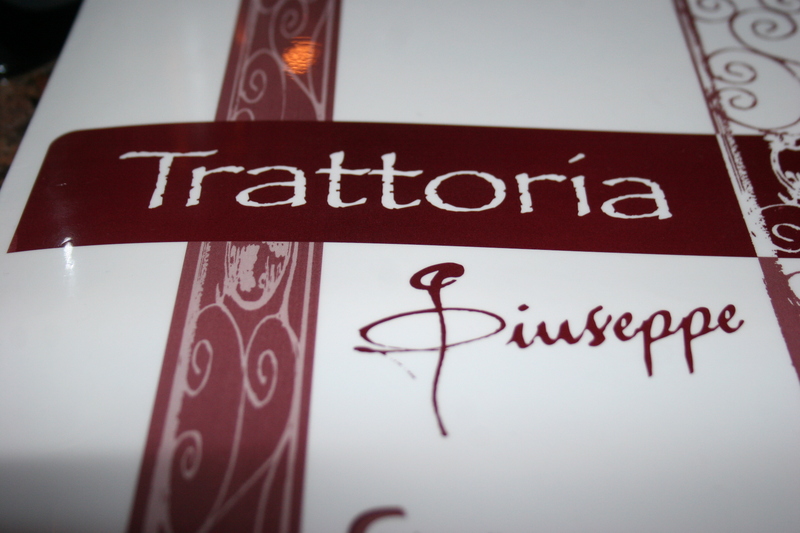 Trattoria Giuseppe does not need me to give it a “thumbs up”. It’s apparent that enough people have done that. Weekends are virtually impossible to avoid waiting lines. It’s very good food, tremendous portions, we found Jeremiah to be a first class server and just an overall nice spot for a meal that will not break your budget.